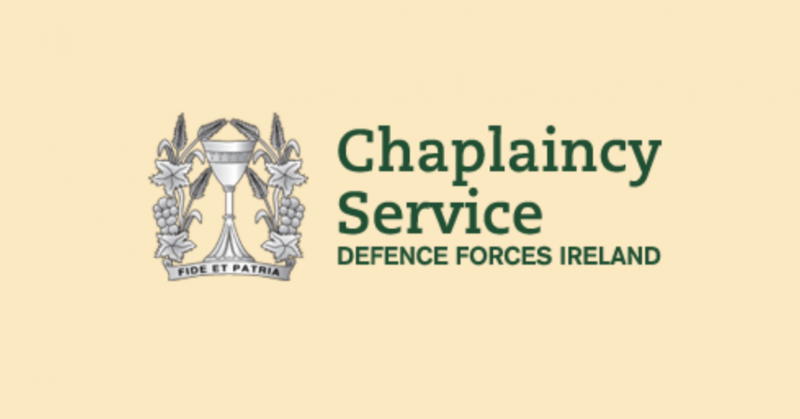 The Irish Defence Forces operate a website for the Military Chaplaincy, which provides a service that is legally and constitutionally obliged to address those of all faiths and none with full equality. Unfortunately, it does not. Instead, this website provides for State-funded evangelisation of Catholicism towards military personnel and their families. There are more than 100 different religions represented within the Irish population and the last census showed that the number of non-religious people is more than all of the religious minorities combined. People of many different faiths and none pay for the Irish Defence Forces, and military personnel are drawn from across the same diverse population. Rather than respecting this context, our State-funded Military Chaplaincy is in fact aimed at evangelising military personnel into Roman Catholicism. There are many explicitly Roman Catholic aspects to the Military Chaplaincy, such as a pilgrimage to Lourdes, marriage advice that refers to Roman Catholic agencies, and Mass times. Perhaps some of the most insidious references though, link Christian scriptures to the way in which our military personnel carry out their duties. For example, our military is instructed in improving their situational awareness to help effectively engage with the enemy, through faith in the Bible. The story of human history is replete with armies who were convinced that because they had god on their side, divine assistance would help them prevail over their enemies. The Irish Defence Forces are currently deployed into regions of the Middle East, Asia and Africa, which have seen many wars over many years. No small number of those wars have been motivated in large part by religious differences. Perhaps it still needs to be explained to our military leaders though, that the total number of battles which have been won in those regions through divine intervention, is precisely zero. Is it really militarily justifiable to invest an annual budget of around €1M per annum, in a function of our Defence Forces that seeks to improve situational awareness and effective engagement with the enemy, by quoting Bible verses? To invest a significant portion of our publicly-funded military budget in petitioning for divine assistance from the Roman Catholic god, is not only assuming that this imagined being takes sides in human battles, but it also displays a profound disrespect to the non-Catholic members of our Defence Forces. Explicitly Roman Catholic references within the Military Chaplaincy may make sense if they existed as one part of a broad chaplaincy service aimed at those of all faiths and none. However, this is not a service that respects all religious and non-religious perspectives equally. 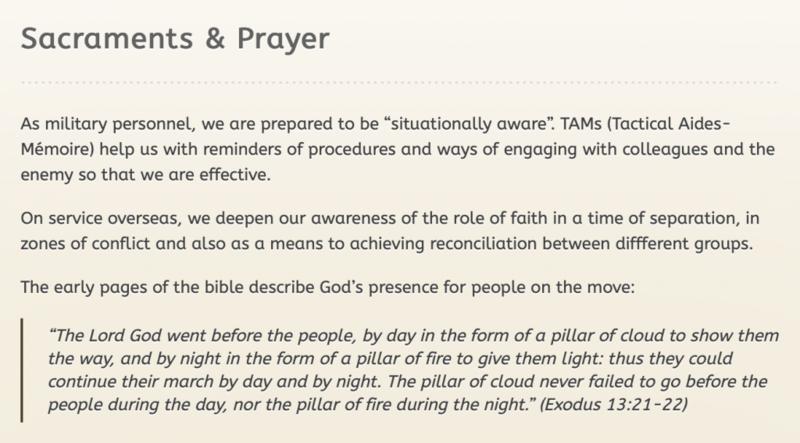 There are two Protestant references that can be found on the website which include a Protestant Bishop expressing surprise that she was invited to a Roman Catholic service. There are two references to Islam, which both relate to Christians being persecuted by the Islamic State. There is one reference to secularism, in which the Head Chaplain is warning against the influence of secularism. That is, the only non-Christian references on the web site involve pejorative criticisms of non-Christians. The Military Chaplaincy operated by the Irish Defence Forces is not a service aimed only at providing support and counsel to our military personnel, as such counsel is required. It is also a publicly-funded Roman Catholic proselytising service, aimed at evangelising a captive audience of those who have decided to put themselves in harm’s way on our behalf. This is straightforward State sectarianism, which is inconsistent with the Irish Defence Forces Equality Policy, with the Employment Equality Act, with the Irish Constitution and with Article 9 of the European Convention on Human Rights.